PST started its nationals adventure practicing with the Georgetown sailing team while staying at the Floyd residence which always proves to be an excited time. We then drove up to New Jersey to practice at Shrewsbury Yacht Club and stayed with the Swikarts. From New Jersey we went back to our homes for a few days to collect ourselves before taking the long flight out to San Diego. I made it to San Diego to see our team sail the last race of women’s semi finals. We then had a few rest days to acclimate to the time change and enjoy the beautiful weather. The team took advantage of our lay days to go hiking, see the beach, and eat some delicious In-n-Out. Tuesday, May 31st was the first day of our semi finals and after two days of competitive racing we edged out Dartmouth to qualify for the national championship for the first time in seven years. The next two days proved to be very difficult battling against the best teams in the country. We saw steady breeze the entire regatta ranging from 5-15 knots. Catie and I finished eighth in our division and the team finished a respectable 16th in the nation. 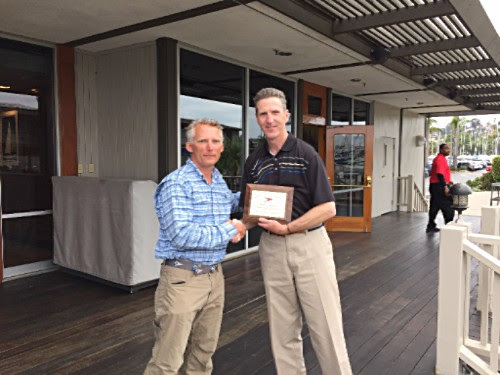 This was a big accomplishment for Penn sailing and were excited for our next season. Big thanks to the Collins who hosted our entire team for almost two weeks and our Coach Billy who put up with our van ride antics. 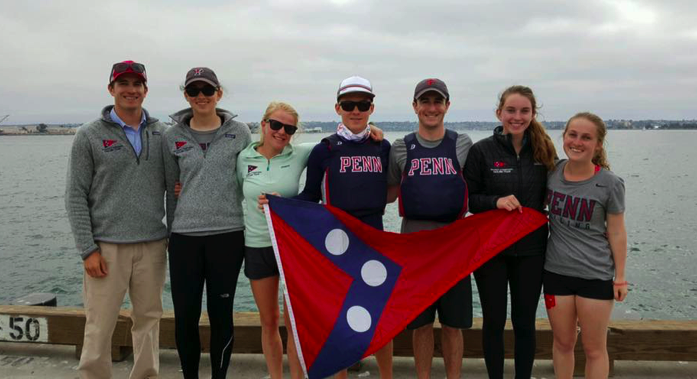 Having the opportunity to compete at Women’s National Semifinals in San Diego has definitely been a highlight of my Penn Sailing career so far. I think qualifying for semifinals for the first time in five years is a significant accomplish for us. We’ve really proved to ourselves as well as family, friends, and alumni that our women’s program is making huge strides, and with the incoming freshmen and returning upperclassmen next year, we have the potential to be even better and really move the program in the right direction. It’s a really exciting time for Penn’s women’s program, and I’m incredibly excited to be a part of it. To say I was intimidated on the first day of women’s semifinals would be an understatement. I was competing against the best teams in the country with the highest caliber sailors, but as a team, we demonstrated that we could hold our own against even the best varsity teams. Thinking back to my time in San Diego brings to mind a specific moment that proves just that. It was the ninth race of the Eastern Semifinal. I was skippering for B Division with Sarah Punzel as my crew. The wind had picked up significantly, but it was perfect conditions for Sarah and me. We got off the line with a clear lane and clean air. After a hard fought battle around the course complete with full out hiking and getting completely drenched by the splashes of the salty Pacific, we finished the race in fourth place out of eighteen boats ahead of top teams, such as the University of Rhode Island who went on to eventually win the Eastern Semifinal and compete in the National Championship. As soon as we crossed the finish line, Sarah and I looked at each other, smiled, and high-fived. 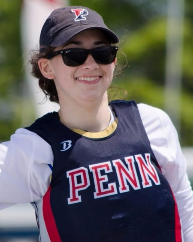 It was a moment that I’ll never forget, and that feeling I got when we finished that race will be my motivation for my next three years as a member of the University of Pennsylvania Sailing Team. I can’t wait to see where this team will go.